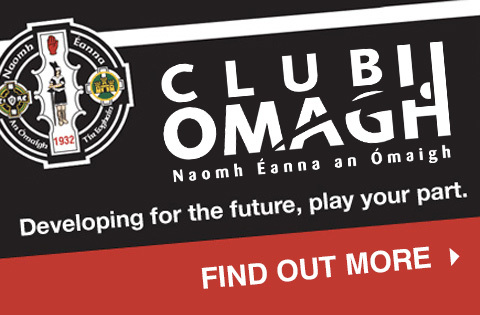 AGM – All club members are invited to the AGM on Wednesday 13th December at 7.30pm in Clubroom at Healy Park. Nomination forms can be got on the club website or Facebook page. Any nominations for 2018 committee to be returned before Friday 8th December 2017. Mass for Deceased Members – Our annual Mass for deceased members takes place this Monday 20th November in the Clubrooms at 7.30pm. Scór na nÓg – Good luck to our Céilí dancers, two Ballad groups, Instrumental and Léirú groups in the Tyrone County Scór na nÓg Final this Sunday 19 November in Galbally at 3.00pm. Gaelic Start – The Gaelic Start Programme for P1, P2 and P3 Boys and Girls continues in Healy Park this Saturday from 10:00am – 11.15am. 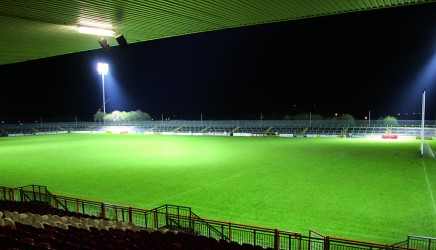 Thanks – To our stewards and helpers who helped at the Ulster Club Championship semi final between Kilcar and Slaughtneil last Saturday night, much appreciated. Christmas Panto – Save the Date in your diary – This Christmas Omagh St Enda’s presents ‘Peter Pan’ at St Joseph’s Hall from Thursday 30th Nov, Friday 1 December and Saturday 2 December at 7.30pm. Pay at the door, doors open from 6.30pm, as always we recommend that you get in early. Lotto – Last week’s Lotto numbers were 8, 11, 12, 13 and 25. There was no club lotto winner of the £5,000 Jackpot. The four draw winners Owen Lafferty, James McAnulla, Kieran Eannetta and Eamon McMullan receive £25 each. Bingo – Bingo continues as usual this Thursday night in the Clubrooms.